You are here: Virgin Islands News Online » News » Is Hon Archibald C. Christian out of place? Is Hon Archibald C. Christian out of place? VALLEY, Virgin Gorda, VI - “To make the statement or to imply that Independent candidates are useless and that only a party can get things done is totally wrong and disrespectful,” said Albert O.Wheatley, Independent candidate for the Ninth District, who strongly expressed his disagreement with Hon Archibald C. Christian’s assertions that it is either the ‘Red’ or ‘Green’ team for voters’ choice. During the National Democratic Party’s (NDP) Eighth District campaign meeting on Tuesday June 2, 2015 in the Greenland community, Hon Christian had challenged voters not to even consider Independent candidates. “I am saying to you tonight that you have no room to consider Independent candidates. Independent candidates who can’t work with any party bring nothing to the table. Independent candidates have told you that they can work with this party or that party, ask them why they didn’t join any of those parties,” Hon Christian said. 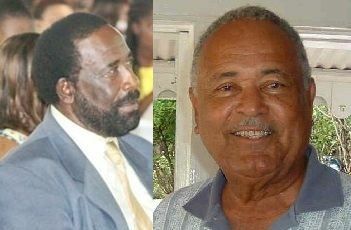 What about the late Cyril B. Romney & Hon J. Alvin Christopher? However, Mr Wheatley is of the belief that in this particular election, there is a need for Independent candidates. He reasoned that Independent candidates are not guided by a party’s agenda and are more prone to be guided by the people’s agenda. They also reserve the right and freedom to support a party when they operate in the best interest of the people and reserve the same freedom to challenge the party should they do otherwise. “Among others, the father of cruise tourism and financial services, the late Cyril B. Romney, was an Independent candidate. Honourable J. Alvin Christopher was an Independent candidate as well. Can you really say that these two men were useless? They both have been very effective and they have brought a lot to the table,” Mr Wheatley told this news site. The Ninth District candidate, who is seeking to occupy the seat to be vacated by the Hon Ralph T. O’Neal OBE, further stated that likewise there are Independent candidates running in this election who bring a lot to the table and can make tremendous contributions to their district and to the country. Mr Wheatley is also of the opinion that any government that is elected by the people constitutes a team that is tasked with attending to the affairs of the people. He said Hon Christian has the right to say what he wants but to imply that the only option for the people to elect is a party is an inappropriate statement. Mr Wheatley believes that a great representative is one who has the ability to reach across the aisle and work with anyone and for any country to be totally dependent on a party in order to get things done does not speak well to the party system. “As an Independent candidate, my commitment is to the residents of the Ninth District and it does not matter whether I am in a party or not, my only focus is to execute what the residents of the district sent me to the House of Assembly to do. Mr Wheatley is urging all voters to not be guided solely by party rhetoric but use their own judgment when electing their next representatives. Mr Albert O. Wheatley is one of seven (7) Independent candidates in this year’s national elections. The others are Dion M. Jennings for the Sixth District, Preston P. Stoutt in the First, Shabazz Abdul in the Fifth District, Stephanie Faulkner-Williams in the Ninth, Vernon V. Vanterpool in the Ninth and Dancia Penn and Rawle R.Hannibal, who are running as Territorial At Large candidates. Archie should've just kept his mouth shut. Tell him Albert! ARCHIE RIGHT NOW OUT OF WORDS HE DONT EVENING REALISE HE IS OUT. I second the motion. Out of words is an under statement. Isn't he the same person who said Ralphie should apologize to them? when it is them who shut down the house without given the Honorable Ralphie the opportunity to give his farewell to the electorate? When he wake up Tuesday morning I hope he will be able to say thank you Jesus, I now can stop making a full of myself and go back to sleep. All he done for the past 3 1/2 years is all he done, cutting bush, now he ain't cutting it at all!!!! " A fool is really know by his much speaking", the more he talk, the more he reveal who he is. So glad its only 4 more days, halleluiah!!!!!!! 4 more days you'll.Oh Archie, keep on talking mey boy, 4 more days. Can't vote for Albert but he has opened my eyes. We need a man like this down here in the 3rd cause I don't want to give frazer or smith my vote. Lol tell him Mr.Wheatley! finally some light on these independent candidates. I voting for you. Archie has just given independance candidates the boost they need. as to why independance candidates is even more important. Thanks to Archie for boosting all independance candidates and voting him out. We cannot risk this one. We going All Out. Hate to say it but I agree with Albert. I am a strong NDP supporter from the 5th district with the intentions of voting for all of the ndp at large candidates but after hearing Archie in greenland, I simply can not give him my vote. Or any of them! I hate it when politicians disrespect each other. It rubs me the wrong way. I know all of them have been disrespecting each other but this comment by Archie is just over the top especially since I am good friends with Mrs. Dancia Penn and Alvin. Utter disrespect. We will see the faith of this country on Monday. I am tired of the NDP calling down people who are not in their party it is very shameful I cant wait for this election to be over. Archie is a goner...He is outta here! Albert I wished you were Independent At-Large you would surely get my vote. Independents keep party people honest by calling them out. They are not beholding to lockstep follow the leader. They are willing to cross the isle for the benefit of the bigger picture. If either party were transparent, honest, and public-serving instead of self-serving, there wouldn't be a need for independents. They brought it on themselves. Study candidate's platforms, achievements and passion, not party affiliation. Example: one party candidate in the First district is a figurehead for the bigger party playbook. The two remaining are more geared to the people of the first. One is an independent. But be careful not to split the vote between them because it will allow the machine to overrun the first. just an example. Is Archie's jaw dropping utterance on the uselessness of independent candidates arrogrance, naivete or just lack of political savvy? In any event, it is major gaffe that may be career killing. It was a costly gaffe. It disrespected political opponents, embarrassed the party, endorsed the other party, show case an attitude that if you are not one us you are nothing. It was a shameful display. How will Archie relate to the useless candidates when he sees them around the territory. Archie needs to do damage control by publicly eating crow and apologize. See that there is silence from other caucus members. Again, Dr. Smith has a Sister Soljah moment. But I will not hold my breath , for he will contribute it to passion on the trail as he did with the Eileen incident with Andrew Fahie. 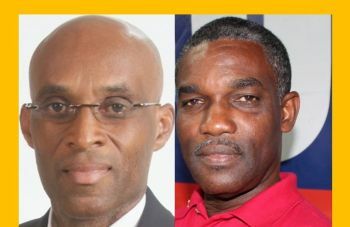 Two candidates of the Virgin Islands Party (VIP) last evening dealt what could be a severe blow to minorities participating in the June 8 general election. The party’s Ninth District candidate Elton ‘All Out’ Sprauve has urged persons not to throw away their votes on independent candidates, while VIP territorial candidate Dr Karl Dawson said persons would waste their votes if they are not cast for either of the two major parties – the VIP or the National Democratic Party (NDP). Therefore, by Dr. Dawson’s standard, persons would be doing the territory a disservice if they vote for independent candidates as well as the recently formed People’s Empowerment Party (PEP). “In the Ninth District, you will find that we have a situation with several candidates, but people I want to make it clear to you that the decision about the future and the direction of this country – don’t mind all the candidates you see, there are only two choices. There are only two choices; nothing else is going to spring up. You are either deciding for the Virgin Islands Party or you deciding for the National Democratic Party,” he said, adding that he would repeating his point for emphasis. “But, if you take your vote and put it any other place, you would be doing your nation a disservice. If you wanna be a part of decision, you must choose one of two,” Dr. Dawson further said, adding that the VIP is the better choice. Dr. Dawson, who is on leave from the post of president of H. Lavity Stoutt Community College, was speaking last evening during the launch of the VIP campaign at Virgin Gorda in the Ninth Electoral District. Elton Sprauve: “Don’t throw your votes away on independents because, in the House [of Assembly], we need a team." In the meantime, VIP representative in the District, Elton ‘All Out’ Sprauve, told voters to shun all independent candidates who are seeking election in the constituency. Sprauve also used the opportunity to outline a raft of plans that he hopes will help to move the District forward. The constituency, for just over 40 years, was represented in the legislature by Ralph T O’Neal, who is not seeking re-election. Those seeking to replace him include his VIP colleague Elton Sprauve, Dr. Hubert O’Neal of the National Democratic Party, and Faye Reese-Charles of the People’s Empowerment Party. The independent candidates are Stephanie Faulkner-Williams, Dr. Rawle Hannibal, and Albert Wheatley. ooooooooo, when Allout win VG can't hold the whole Dominican Republic!!! Didn't Dr. Dawson say the same thing? Isn't he also out of place? Yeah he said the same thing but in Archie's case, He went on by sayigng "...virtually useless..." ow you trying to tell me that was called for? That man sick in he head. That is what set off the bomb. Sprauve basically said the same thing he basically said to vote for an independent candidate would be throwing away your vote....Dr. Dawson said that to voting for and independent would be doing the country a disservice. How are those statements any better than what Archie said? So when we vote out Skelton how will Archi function? He wouldn't know East from West. Archi please, go sit down!! matter of fact we want the whole NDP gone! Ayo make sure collect Archie's departure tax because he is on his way out. Go Mr. Wheatley, All those candidates who said independent don't count they are crazy and selfish. They are showing the ppl what they are really made of. Yes independents are worth it. The are failing to see what the country really needs and the ppl that lives in it. That's the kinda bull we've been putting up with. But this time no more bull. Wise up ppl let come together for a better BVI. We voting Albert!!!!!!!!!!!!!!!!!!!!!!!!!!!!!!!!!!!!!!!!!!!!!!!!!!!!!!!!!!!!!!!!!!!!!!!!!!!!!!!!!!! I done make up my mind. Any elected independent who is elect will be begging to join the ruling party for aline they will achieve nothing. No funding for major projects etc and no one to back their ideas. Independent candidates seem to have a lot of people fooled this time around that they can do ALL by themselves...even in the House of Assembly. Remember no man is an island...there is strength in numbers. This is one time I have to agree with Archie. Only difference is I WILL BE VOTING VIP ALL THE WAY. May the best PARTY win.